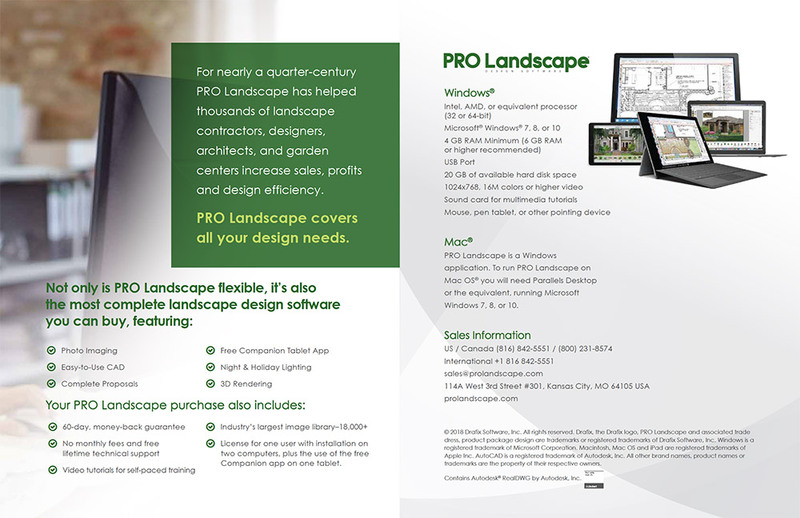 PRO Landscape is a Kansas City-based company that designs best-selling software and apps for landscape professionals. 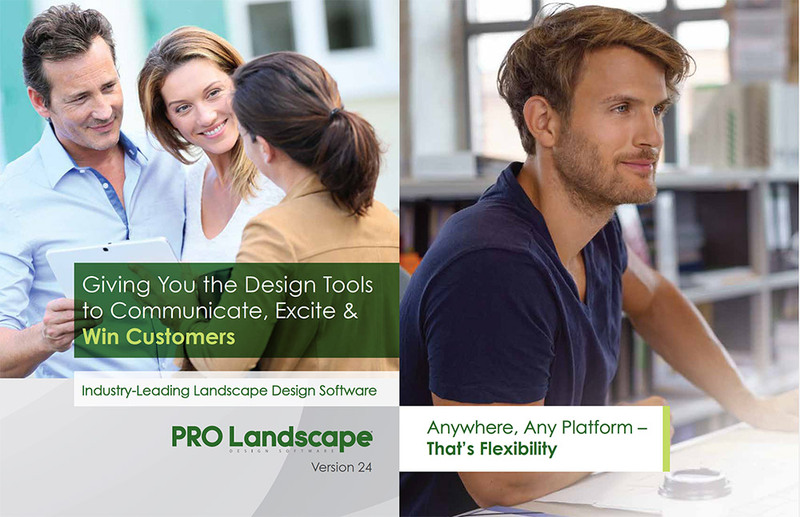 A new version of their software is released annually, along with an accompanying brochure to highlight new features for existing and potentially new clients. 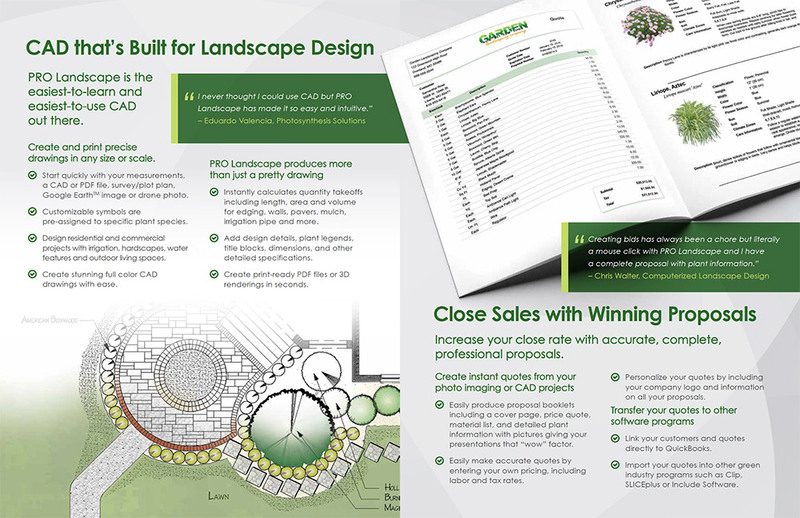 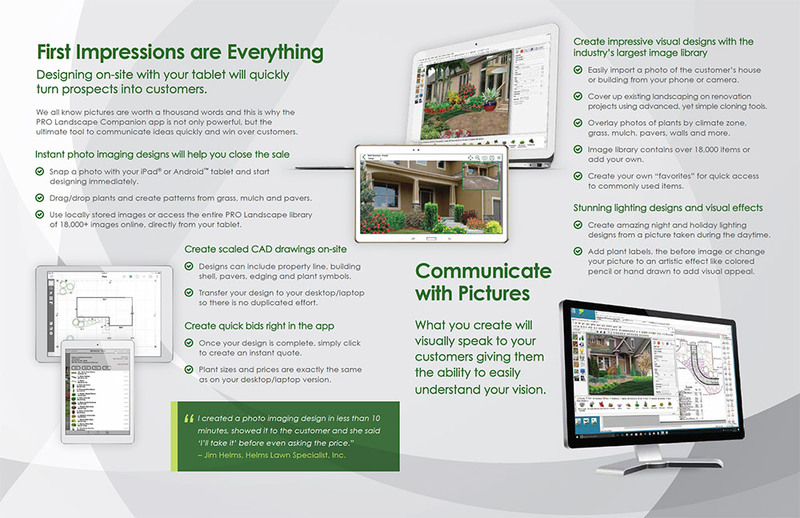 The 2018 brochure consisted of 16 panels and featured screenshots to help landscape designers get a feel for the software and to showcase how it can be used on multiple devices.